Countryside Manor Subdivision is in Tucson’s Northwest area. Shopping, restaurants, and activities are nearby and Oro Valley, and the Foothills Mall are minutes away. The area offers buyers a wide range of homes and active lifestyles. Both Mountain View High School and the Arthur Pack Regional Park are minutes away from Countryside Manor Subdivision. 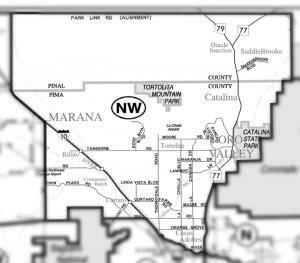 Families living in Countryside Manor Subdivision are served by the Marana School District. Restaurants to visit if you are in the Countryside Manor Subdivision or another area of the Northwest Caffe Torino and The Parish. In Addition to the Countryside Manor Subdivision, the Northwest Tucson offers a wide range of lifestyle choices. 55+ adult communities, golf course homes, and luxury homes in gated neighborhoods. SaddleBrooke and the Highlands at Dove Mountain are also in the Northwest. They, along with Sun City Vistoso are 3 of the larger 55+ communities. Northwest Hospital is at La Cholla and Orange Grove Rd. It is a community hospital, serving residents in Northwest Tucson. Services include diagnostic imaging and emergency, medical and surgical medical care. Countryside Manor Subdivision is 10 minutes away from the Northwest Hospital facility and Physician Offices. Considering A Home In Countryside Manor Subdivision? Are you thinking of buying a home in the Countryside Manor Subdivision or another area of Tucson? Finding the right home can be a challenging process. But we can make the process much less stressful for you.